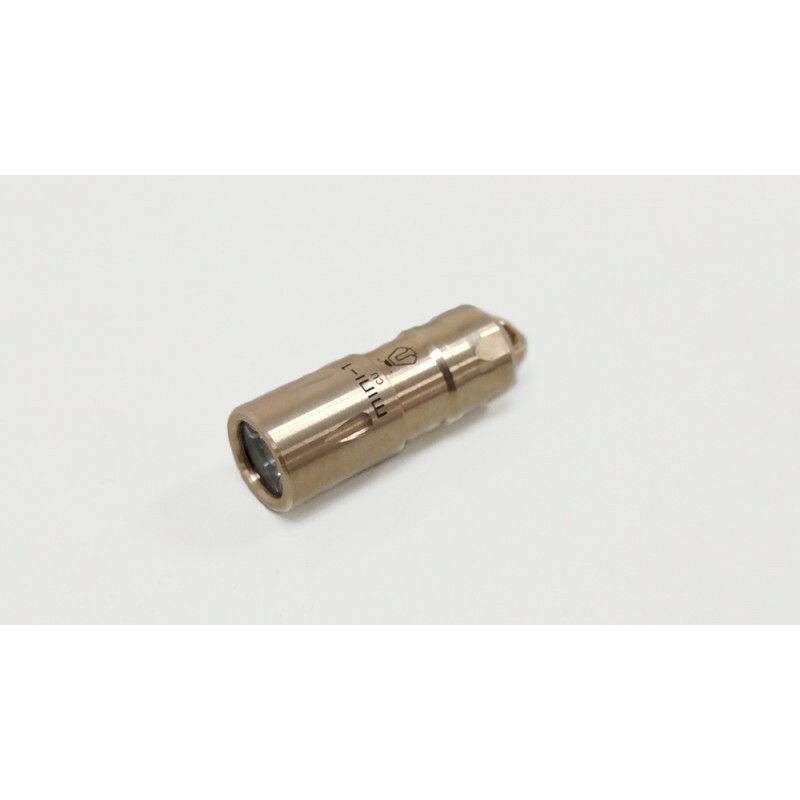 Small and compact, the MINI-1 Brass is a special edition tiny keychain sized light powered by an included 10180 li-ion battery and CREE XP-G2. Charge the light quickly and conveniently through the built-in micro USB port with no need to remove the battery. Due to the nature of Brass, a unique patina will form over time.